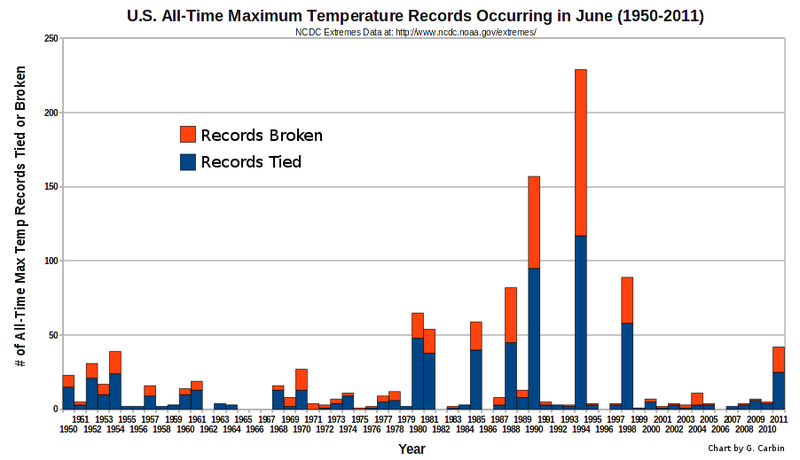 Discussion Of June All-Time Record Maximum Temperatures In The United States Since 1950 And Possible Effect Of Instrument Changes | Climate Science: Roger Pielke Sr.
Klotzbach, P.J., R.A. Pielke Sr., R.A. Pielke Jr., J.R. Christy, and R.T. McNider, 2010: Correction to: “An alternative explanation for differential temperature trends at the surface and in the lower troposphere. J. Geophys. Res., 114, D21102, doi:10.1029/2009JD011841”, J. Geophys. Res., 115, D1, doi:10.1029/2009JD013655.